Actually, only as far as the Multicentro Mall, a few minutes down the street from the Hilton. 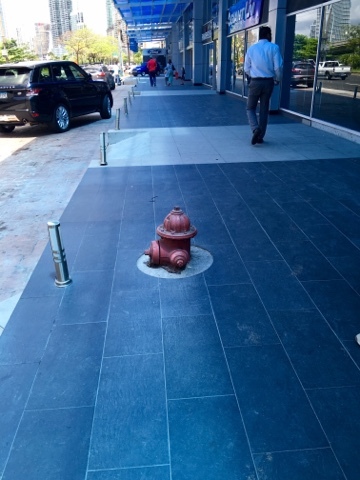 On the way, we saw how the practical Panamanians deal with a new sidewalk and an old fire hydrant. Once inside the mall, Brian was intrigued whether there was a house of ill repute on the fourth floor. 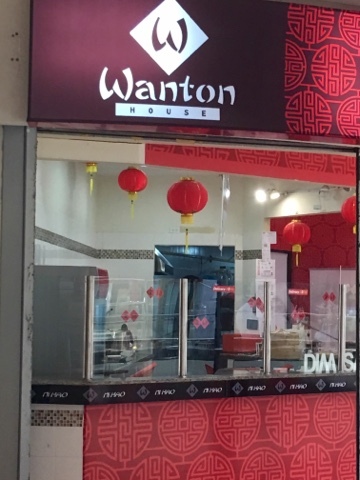 It turned out to be a Chinese eatery in the food court, and not that "wanton" after all.